Throughout most of my career, I’ve been fortunate to have really smart aerodynamic & CFD engineers tell me how stiff and strong I need to make my wing, or reliability engineers how high an iPad must be able to fall without breaking. Designing a foil from scratch, with admittedly very limited experience as a rider (I’m still learning to gybe! ), and determining critical loads and structural requirements was a daunting task. 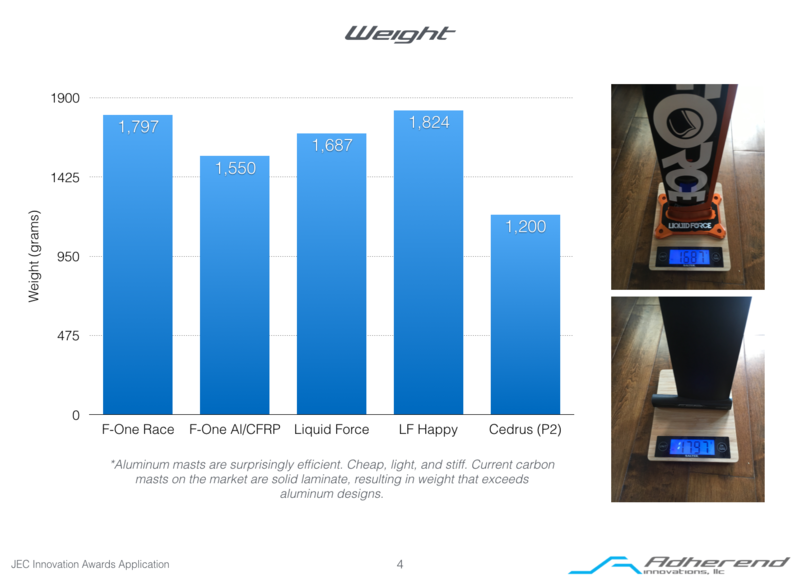 Foils are stiffness-critical structures, meaning that sizing to strength (i.e. making a foil that doesn’t break while in use) can yield a design that is inadequately stiff. It’s a little more complicated than that, as I’ve seen some aluminum masts with adequate stiffness fail in bending. 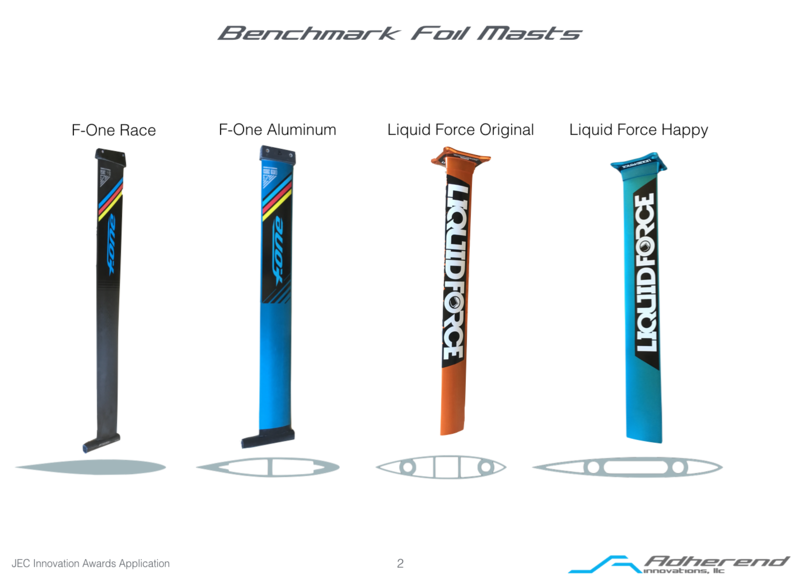 But for composites, the solid laminate masts on the market today are far stronger than they need to be, but that’s just a symptom of being designed to meet stiffness requirements. Before you can improve upon existing products and designs, you have to understand why things are the way they are. Fortunately through BAK, I had access to various masts and was able to essentially reverse engineer them and characterize their strength and stiffness. 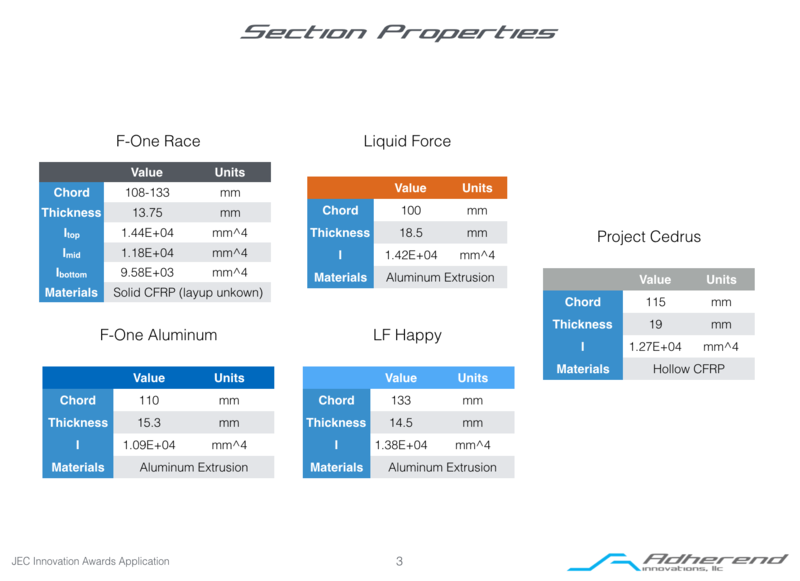 Using FEA, I was able to determine estimated torsional and bending strength and stiffness. 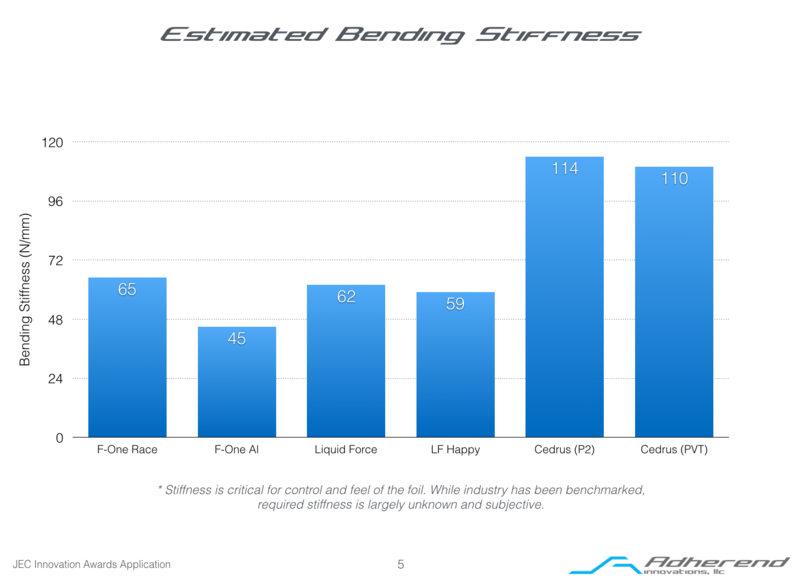 Despite being 30% lighter, Project Cedrus is about 50% stiffer in bending than the industry benchmark, with similar torsional stiffness. 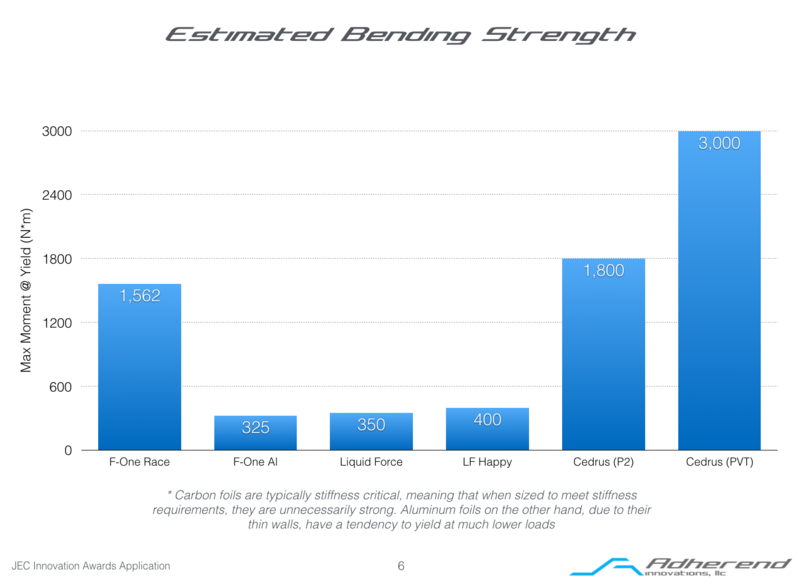 In terms of strength, again based on analysis, Project Cedrus is an order of magnitude stronger in bending than some of the aluminum masts on the market. Some of the strength comes from the material, but a lot of it comes from the thicker section (admittedly sacrificing drag). I have a seen a number of bending failures (yielding) in kite and surf foils currently on the market. Reality is, I don’t know how stiff and strong a mast really needs to be. My lightweight prototype was a bit soft for some riders, but feedback on the medium and heavy gauge masts was all positive. 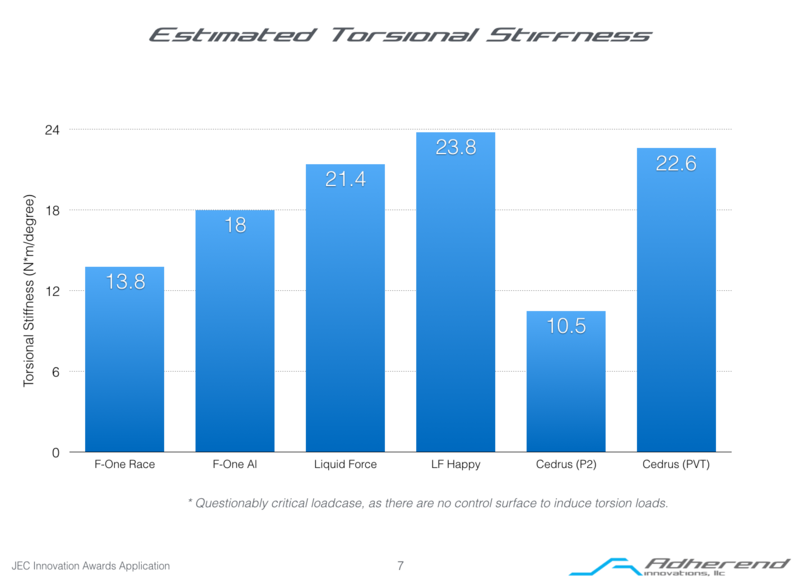 I plan to bump torsional stiffness (to PVT levels) not because I think it needs it, but to be more inline with industry benchmarks out of caution. 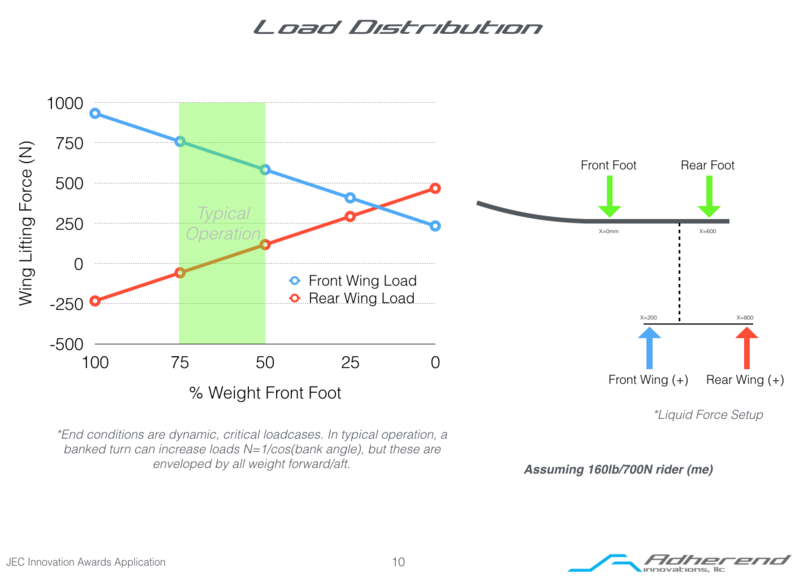 There are no vertical control surfaces on a foil (such as a vertical tail on an airplane) so in my opinion torsional stiffness is far less critical than bending. In the end, I am confident to have settled on an optimal layup and cross section between strength, stiffness, and drag.